The most prestigious space on the Monopoly board, Mayfair is home to some of London’s most excessively expensive restaurants and bars. Tucked away on Down Street, however, tiny authentic tapas bar El Pirata is celebrating the end of summer by introducing four new Spanish wines, all of which are available for less than £20. This offer is available until Saturday 16th September and cannot be found elsewhere in the area. El Pirata’s new wines include Colegiata Malvasia Blanco D.O Toro, a fresh, fruity white wine; La Tremenda Blanco D.O Alicante with notes of green apple and a dry finish; and La Tremenda Tinto D.O Alicante. A modern summer rosé – Coral (New Inurrieta Rosado) D.O. Navarra – also joins the selection, featuring a blend of Garnacha, Cabernet Sauvignon, Syrah and Graciano grapes. All four are currently available at El Pirata, priced at £19.95 per bottle. The exceptional value of these wines also adheres to the restaurant’s famous accessibility. 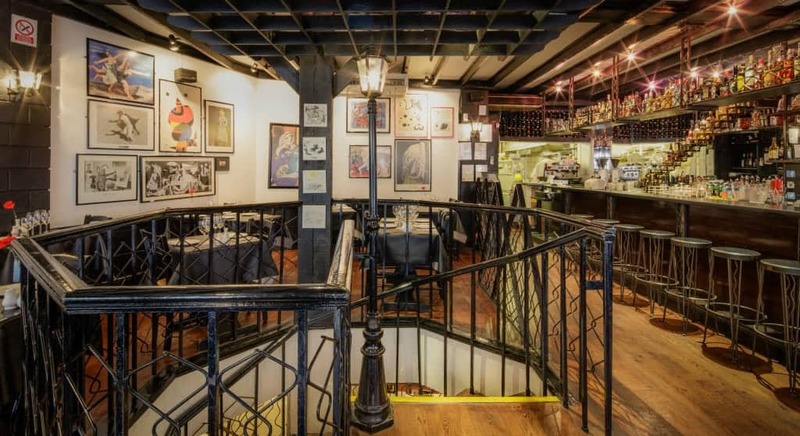 An informal, relaxed space, El Pirata has served authentic Spanish tapas for almost 25 years, with over 60 dishes on the menu and over 140 Spanish wines. In addition to the a la carte menu (try the octopus brushed with olive oil and paprika, trust us it’s outstanding), the restaurant also offers a tasting menu at £27 per person, two evening set menus, plus a lunchtime menu del dia: with a choice of two tapas with bread and aioli for £10.25 per person. Further information can be found at elpirata.co.uk. Are esoteric wines the new craft beer?